Every culture provides a unique perspective on the world, offering a fresh and different take on the human experience. The people of the Philippines are no exception and there are new Tagalog movies being released every year across a range of genres. 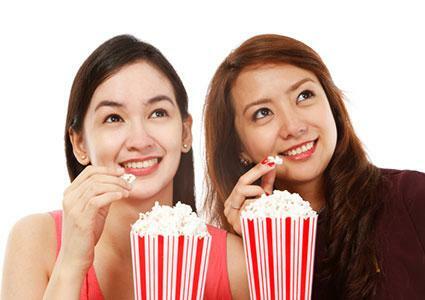 Grab your popcorn and settle in with one of these recent and popular Tagalog films. A modern take on the Romeo and Juliet dynamic of star-crossed lovers, My Bebe Love follows the budding relationship between a nerd named Dondi and a rebellious girl named Anna. Their clashing personalities are further complicated by the fact that Dondi's aunt and Anna's father are business rivals who disapprove of the budding relationship. Despite the "predictable" plot, Philippine Entertainment Portal reviewer Maridol Bismark applauds the universal feeling of love and meaningful smiles. My Bebe Love was the number one film on opening day at the Metro Manila Film Festival. Nineteen-year-old Jackie is sick and tired of being cooped up by her separated parents, constantly looking for ways to escape from under their care. While sent away to a medical mission camp, Jackie sneaks away from her brother and encounters a young love interest named Kiko, who turns out to be working with Jackie's mother all along. Crazy Beautiful You is a story of teen romance, a film that Rappler columnist Oggs Cruz calls an "indubitable charmer" that is "entertaining through and through." After a major client demands to speak only to the company president, assistant vice president Georgina tells him that her executive assistant Pong is actually the head of the company. The resulting action in You're My Boss is based on this false pretense, with the two main characters caught in holding up a lie. The movie earned 100 million pesos (approximately $2 million U.S.) in its first six days at the box office, grossing over 200 million pesos after three weeks. Based on the real-life story of the man of the same name, Felix Manalo chronicles the journey of the first Executive Minister of the Church of Christ (Iglesia Ni Christo). After studying and doubting both Catholic and Protestant teachings, Manalo forms a church that is viewed by his followers as the restoration of the true Church of Christ. The film broke at least two Guinness world records, including the largest paying audience for a movie screening and largest audience at a premiere, with over 43,000 people in attendance at the film's premiere in October, 2015. Offering a dramatized depiction of Manny Pacquiao's childhood, Kid Kulafu follows young Manny through the Philippine mountains to the treacherous streets of Manila as he crafts his future as one of the most successful professional boxers in the world. Arvin Mendoza of The Inquirer really enjoyed the film, calling it a "knockout" of a movie with its "raw and untamed" approach. Starring: Buboy Villar, Alessandra De Rossi and Cesar Montano. Also known by its English title Trap, Tagalog film Taklub depicts the lives of survivors following the devastation of Super Typhoon Haiyan in the Tacloban area of central Philippines. They search for survivors while struggling to keep their heads high in the face of severe adversity. Screened at the Cannes Film Festival, Taklub is described by Variety writer Maggie Lee as being shot in a documentary style that is "at once intimate and detached in its dramatic economy." The film won praise at a variety of festivals including the Brisbane Asia Film Festival and the Beirut International Film Festival where it was named Audience Vote Best Feature Film. Based on the novel of the same name, Para sa Hopeless Romantic follows teen Becca after she breaks up with boyfriend Nikko. She starts writing a story about her best friend and her secret crush, the latter of whom suffers a car accident and ends up in a coma. With poor box office performance, the film also suffered from mixed reviews. Philbert Ortiz Dy of ClickTheCity calls the movie "mainly hopeless," citing its "pretty low standard for romance." Also known as Kiss in the Wind in English, Halik sa Hangin follows the unique story of eighteen-year-old Mia after her father dies and she moves in with her mother, stepfather and half-brother. Struggling to recover from her father's death, she is wooed by a mysterious figure who appears and disappears inexplicably. The secret of the mysterious character of Gio is central to this film, says UrbanTribe.ph, pushing the action forward toward the big reveal and its conclusion. Balut is a Filipino delicacy consisting of a partially formed duck embryo boiled and eaten while still in its shell. Balut Country tells the story of a young man who inherits his father's duck farm and must decide whether he should sell it to secure his own future. Balut Country was nominated for the Best Picture award at the 2015 Sinag Maynila Film Festival. Also known as Invisible in English, Imbisibol tells the story of undocumented Filipinos as they work "under the counter" in Japan. The migrant workers, each of whom have a different tale to tell, take on these illegal jobs to help support their families back in the Philippines. Screened at the Toronto International Film Festival, Imbisibol is described as a "stark and heart-wrenching film" that is "finely crafted" with "technical precision" and "emotional impact." Just as American blockbusters and Japanese anime are enjoyed by audiences all around the world, Filipino movies can have an equally wide-reaching appeal beyond those who speak Tagalog with their families at home. Look for some of these titles to see just what Tagalog movies have to offer.